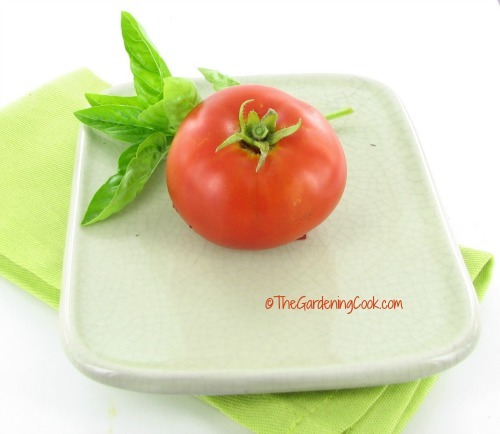 For me, there is nothing quite like the taste of garden fresh tomatoes, especially those that you have grown yourself. My tomatoes have just started growing this year and I am really enjoying the sweet taste and freshness of them. 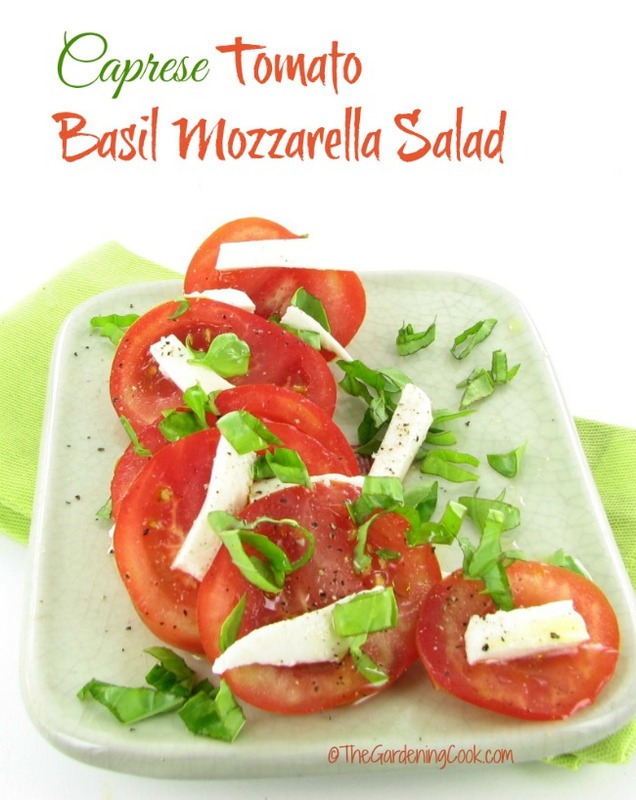 This Caprese Tomato Basil Mozzarella Salad is simple to make and is the perfect way to showcase the tomato and to add some color to your dinner plate. 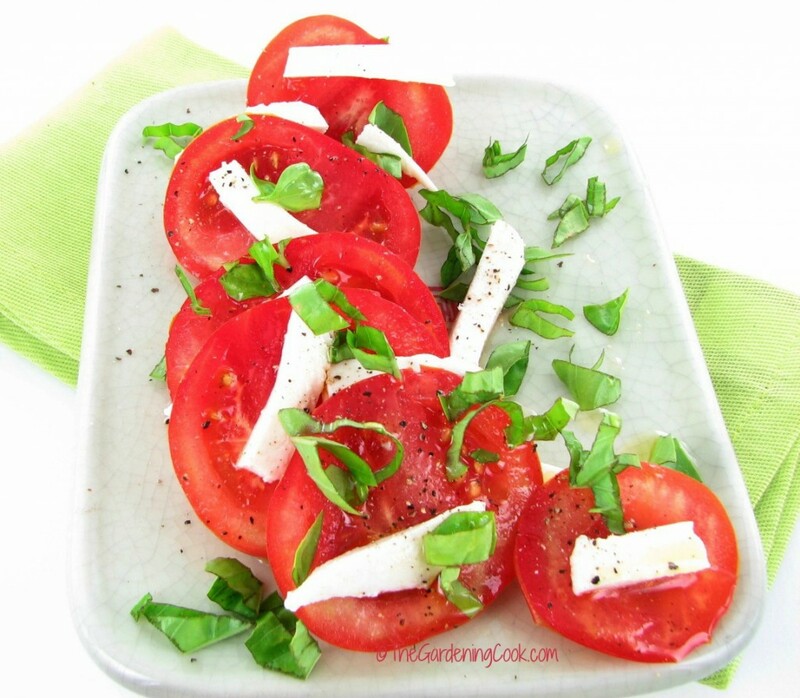 Add Color to your Dinner with this Caprese Tomato Basil Mozzarella Salad. The dish makes a great side item or even a light lunch. It is assembled in minutes yet it has the taste that you would think took much longer. I first had this dish at a restaurant called Printworks Bistro, in Greensboro, N.C. My daughter worked there while she went to college and we used to dine there often. This was one of their vegetarian appetizer items and was a very popular dish. My garden has just started producing, so this was the perfect recipe to use my first produce! Just layer your tomatoes and add the mozzarella and pieces of chopped basil and drizzle with olive oil. Super easy, super tasty and such a great burst of color! For another healthy salad option, try this Roast Vegetable salad with a creamy cashew dressing. Salt and cracked black pepper. Lay the tomatoes on a plate and add the mozzarella cheese. Season with salt and pepper and drizzle with the olive oil. Delish!